DALLAS – Sept. 26, 2017 – Today during its 63rd Annual Seminar and Exhibits, ASIS International named Razberi Technologies a “Security’s Best Award” recipient for the Razberi CameraDefense™ cybersecurity solution. CameraDefense guards video surveillance systems by automatically applying cybersecurity best practices across hundreds and thousands of network cameras and devices at scale. Embedded into Razberi ServerSwitchIQ appliances, Razberi CameraDefense enables system integrators and end users to automatically harden IP cameras, secure their video management systems (VMS), and receive proactive alerts to cyber threats via an easy-to-view dashboard. Integrated, AI-enabled virus and malware protection powered by CylancePROTECT® software guards the VMS by predicting known and unknown attacks. CameraDefense applies best practices such as white listing, password management, device binding, and a firewall that shields cameras from threats. 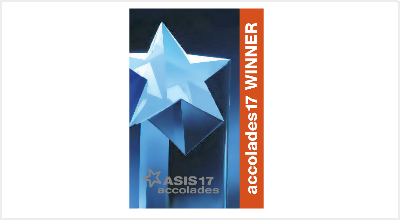 The ASIS Accolades Competition recognizes the security industry’s newest, most innovative products, services, and technology solutions. A team of judges representing end users and experts in security technologies evaluated all entries and selected the top 10 winners. In addition, Razberi CameraDefense is up for the ASIS People’s Choice Award from among the 10 winners. Attendees can vote onsite today and tomorrow via iPad kiosks in the Accolades Showcase in Lobby F. Votes can also be cast on the ASIS 2017 mobile app. Razberi is demonstrating CameraDefense in booth 3870 at the event. CEO Tom Galvin is giving a cybersecurity presentation today at 3:40 p.m. in the Impact Learning Theater 1. Razberi Technologies offers a reliable, secure, and network-friendly video surveillance platform that records the highest quality video while reducing capital, bandwidth, and space costs. Razberi ServerSwitchIQ™ appliances uniquely combine a firewall, PoE switch, server, storage, and intelligence. Deployed in a scalable architecture near the network’s edge, the platform enables organizations to decrease network utilization by up to 95 percent and protect cameras from cyber attacks. Embedded Razberi CameraDefense software automates cybersecurity protections with camera hardening and cyber threat monitoring. Built-in Razberi VyneWatch health monitoring software alerts security professionals to issues 24×7. Razberi appliances are compatible with top video management systems (VMS) and any network camera. The company is headquartered in Dallas. For more information, visit razberi.net.